1. 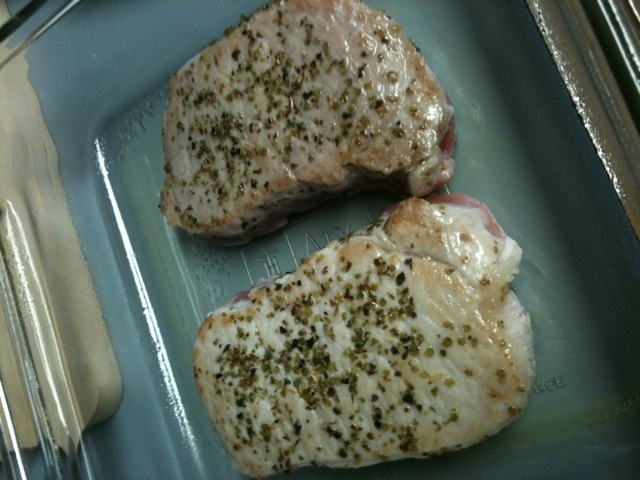 Sprinkle pork chops with sage and salt. 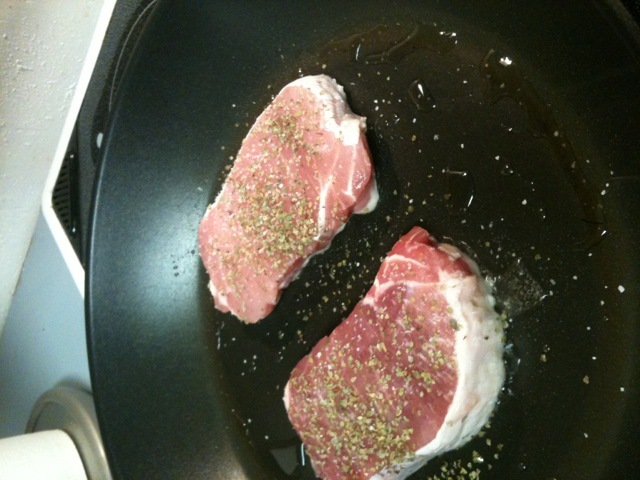 In a large skillet, brown chops in oil on both sides. Transfer to an 11-in. x 7-in. baking dish coated with cooking spray. 2. Stir flour into the pan drippings until blended. 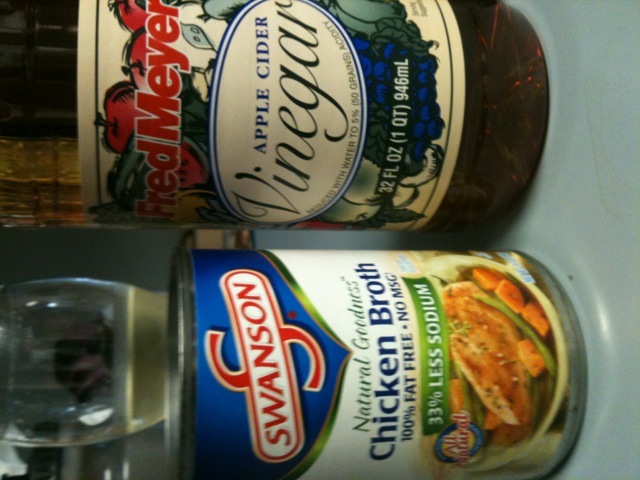 Gradually stir in broth and vinegar. 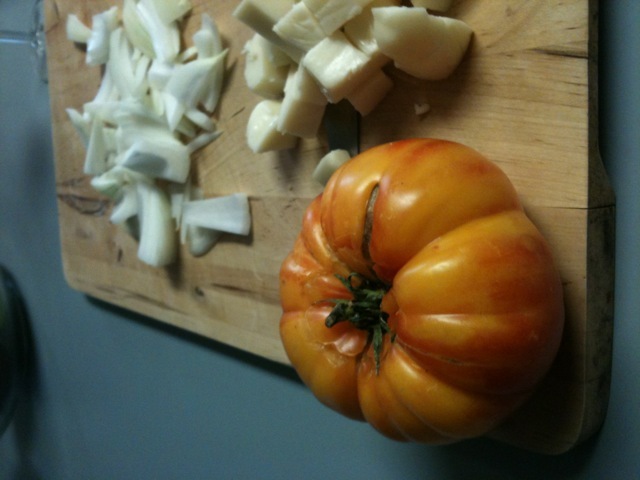 Bring to a boil; cook and stir for 1-2 minutes or until thickened. Remove from the heat. until a meat thermometer reads 160°. 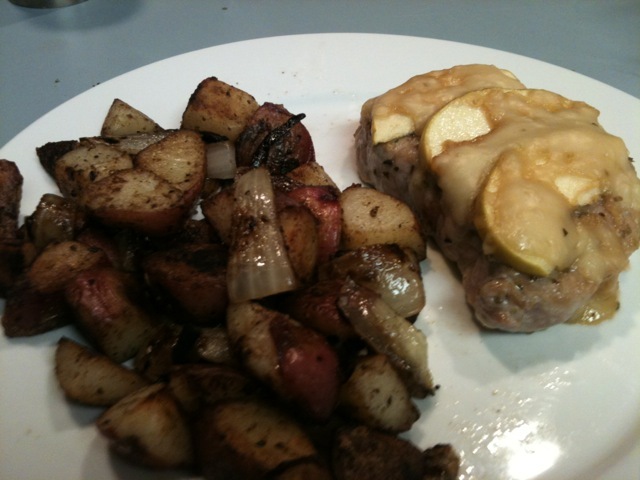 Nutrition Facts: 1 pork chop with 1/2 cup apples equals 250 calories, 10 g fat (3 g saturated fat), 55 mg cholesterol, 406 mg sodium, 17 g carbohydrate, 2 g fiber, 22 g protein. Diabetic Exchanges: 3 lean meat, 1 fruit, 1/2 fat. When I walked in the door last night, I was famished and Michael greeted me with a Wheat Thin cracker topped with salami and white cheddar cheese plus a glass of wine! He knows me so well. 😉 Potential Cranky Food Monster abated! We modified the recipe a bit. First, we didn’t have sage so we used Marjoram. 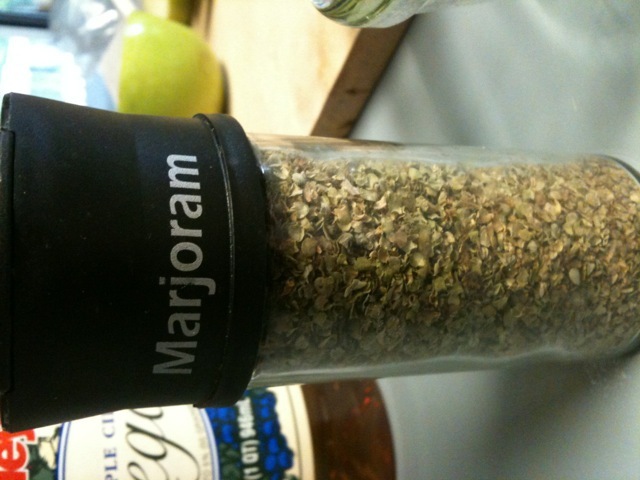 I think I can honestly say I’ve never used Marjoram before last night. The next substitute was vegetable oil instead of Canola oil. 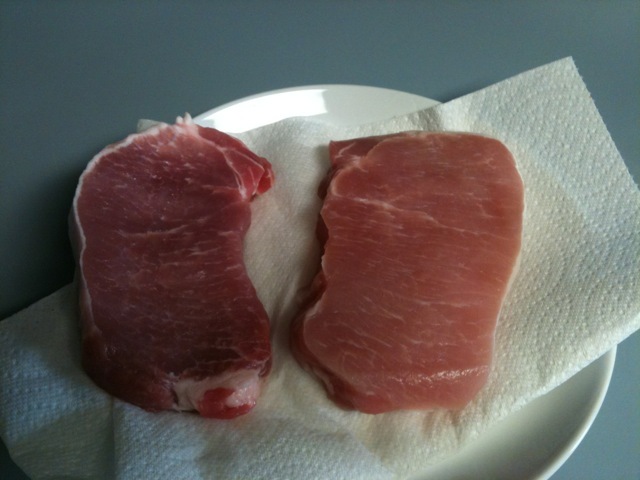 I rinsed and dried the pork loins and then seasoned them with Marjoram and salt. Michael browned them in the skillet and then transferred them to the baking dish. 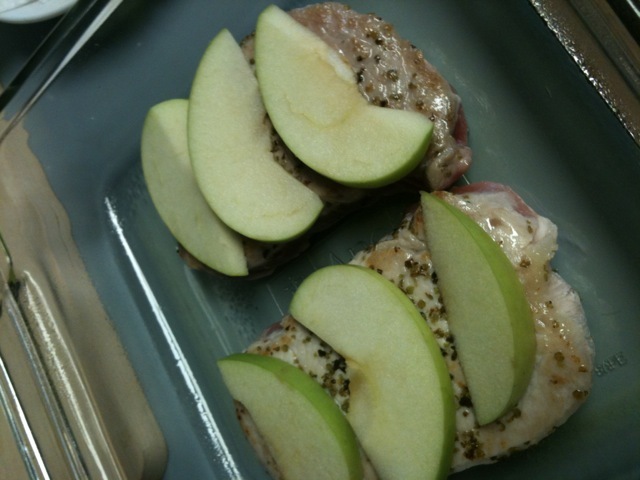 I sliced a Granny Smith apple and put it on top. 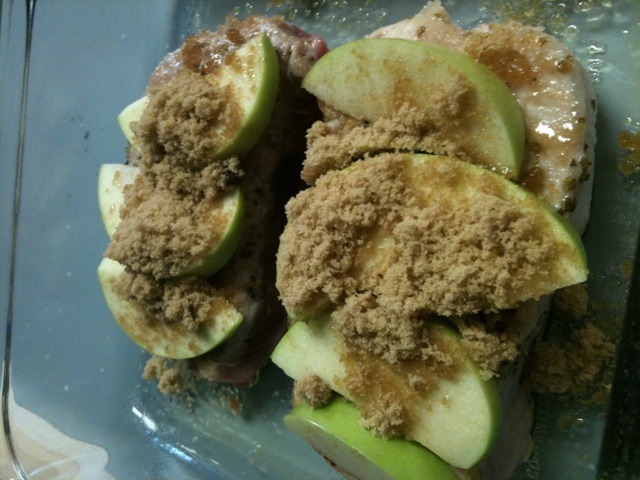 I topped the pork/apples with the brown sugar. 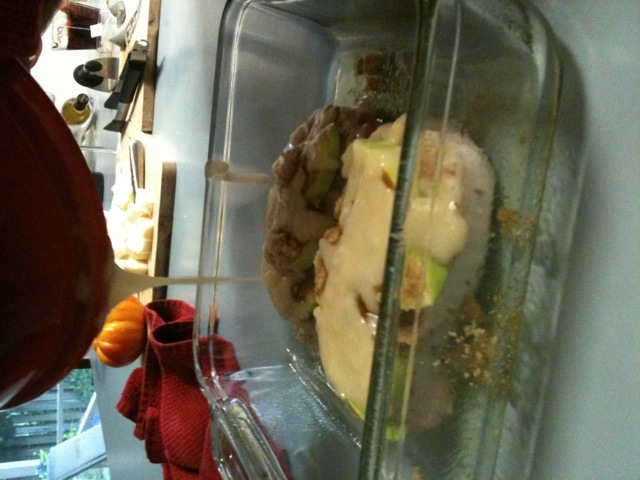 We made the gravy in a pot and poured it over the pork/apple. The next step was the bake it. 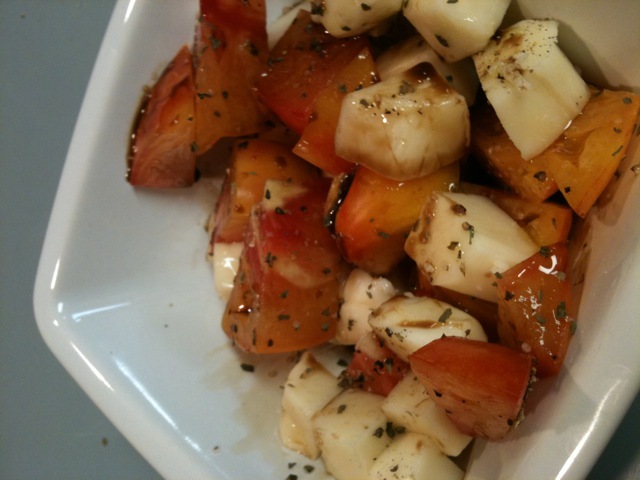 While it was baking, Michael made his famous potatoes in the skillet and we ate our tomato and mozzarella salad with balsamic vinegar. Is there a secret to gravy that I don’t know? Congealed isn’t appetizing. We will eventually find the right pork recipe that we can make successfully. I ate about half of the potato and onion side dish and most of my pork. I was stuffed. QUESTION: Do you have a trick for pork? Hi! I just found your blog and I love it! Congrats on losing 100 lbs…that’s awesome! 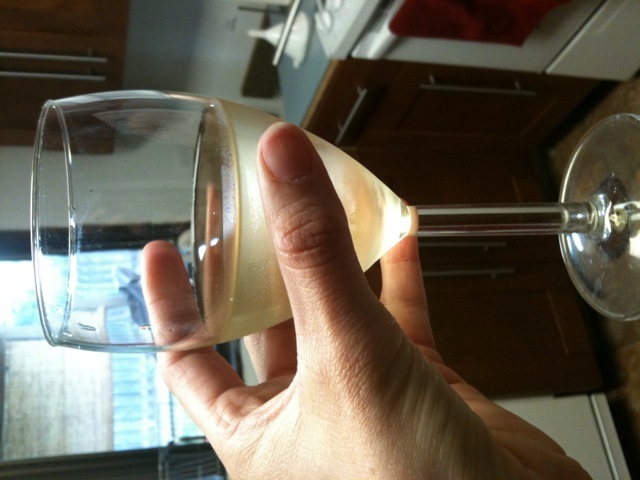 I love finding new recipes so I’ll be checking back in often! i think the most important thing for really great pork is to sear the outside to develop some of the great flavor, and then slow roast it the rest of the way. it’s SOOOOOO good! p.s. i adore your header…you have come such a long way and i am so proud of you! Wow that dinner looks fantastic and I don’t even eat pork! yum! It did turn out pretty good. If only I can make better gravy! I don’t use pork very often, I’m not sure why bc I prefer it to even chicken! This recipe looks tasty! My mouth very literally watered at this post. I dont eat pork often, but I would totally eat these. They were good! The brown sugar is pretty sweet. 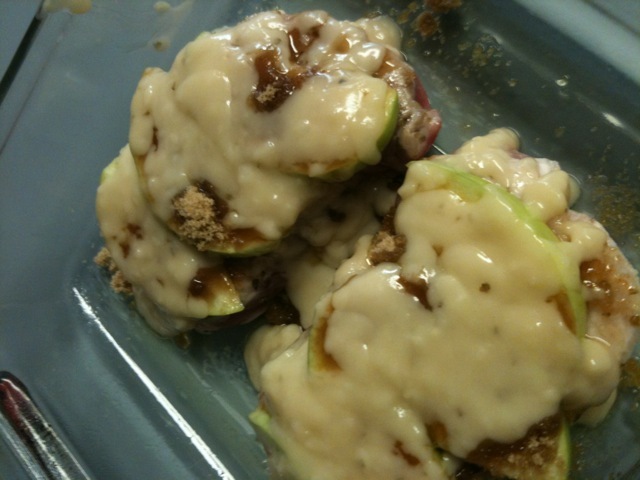 I liked the tart apples too. Ends up being so tender! I use a meat thermometer to make sure it’s neither overcooked nor undercooked. As for the gravy, maybe cut back the flour?